Can you make money homesteading? Absolutely! 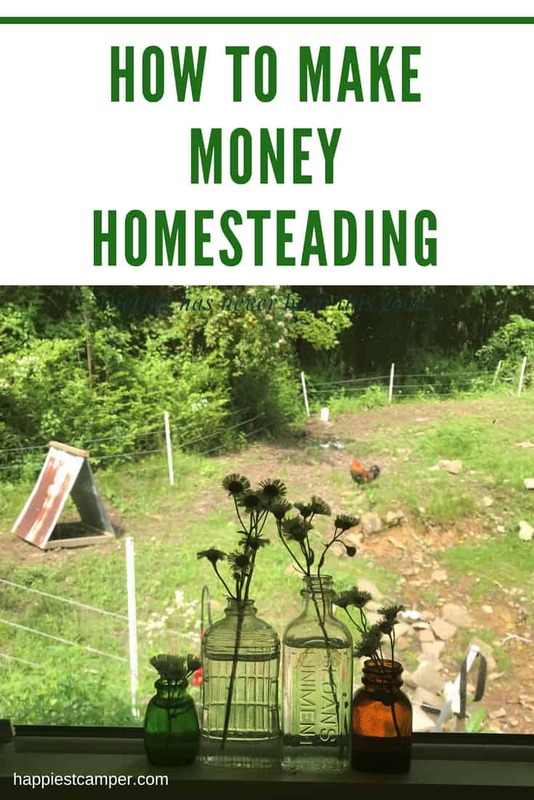 There are lots of ways to create sustainable sources of income from your homestead if you want to. Some homesteaders simply enjoy the lifestyle and choose not to use it as a financial means. That’s great too. Here at the Happiest Camper Homestead we generate multiple streams of income from home. You are contributing by reading this post, and you might not even realize it. We receive money every time you view an ad or click on one of the affiliate links and make a purchase. Businesses also support our blog and homestead by sponsoring content like this post, for example. Blogging is our most consistent homesteading money maker, and we love sharing our projects with you. The most we have made at one time came from breeding and selling Idaho Pasture Pigs. The piglets sold for $300-400 each. Unfortunately, our current property is not set up properly to continue raising a large number of pigs. We are taking a temporary hiatus from that venture and turning to chickens. 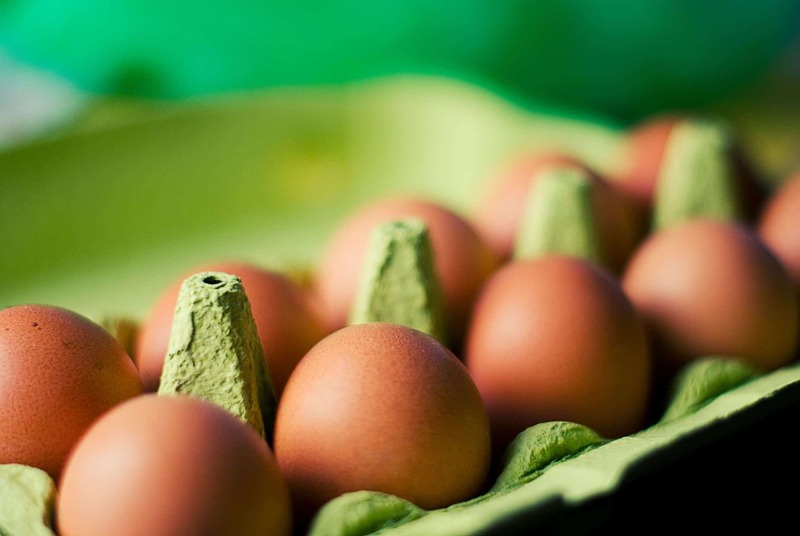 Chickens generate income in a few different ways: Hatch and sell baby chicks; Sell adult chickens (preferably who are laying); or sell their eggs. There is nothing like the taste of a fresh egg from a free-ranging chicken! We also find chickens to be minimal effort and a lot of fun. In the Spring, we sell plant starts for gardening. I also throw in some handmade goods, like aprons, when I know we will be selling at a market. 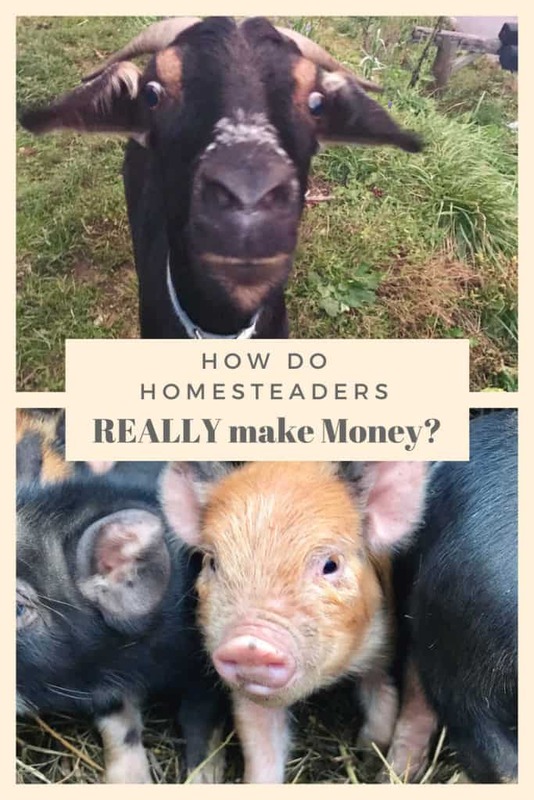 To continue our series, I asked 22 homesteaders how they make money on their homestead. Some folks are so talented! I plan on ordering a few goodies on this list to support these homesteaders. Homemade anything is just better! 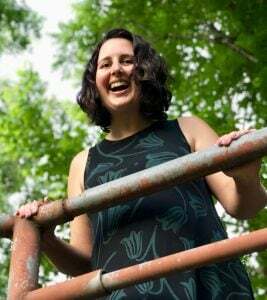 Please check out the previous posts in this series on homesteaders: 22 Homesteading Bloggers Share Why They Choose to Homestead and What 23 Homesteaders Love Most About Homesteading.